Jamaica, formerly known as Poney Poney, have been one of the revelations of the early spring. Produced by Xavier De Rosnay from Justice, and with Daft Punk's sound engineer Peter Franco they would have had a hard time not to get hyped even if they wanted to. The new single "I Think I Like U 2" has been floating around for a while (we posted it in the Kitsuné Maison 9 post), but we thought we'd have to post some more Jamaica since they are one of our favourite bands at the moment. I remember going to see Yelle at the 5 Days Off in Amsterdam in 2008. She was one of the hottest French acts of 2007-08, and one of her biggest hits around that time was "À Cause Des Garçons" and the Tepr remix of the same track, which had grown to be an anthem of the tecktonic movement. At the concert, where Tepr was supporting if my memory doesn't fail me, she of course played it. Around halfway through it was mixed in with the Tepr remix which really blew up an already great concert with those flailing tecktonic arms everywhere. We haven't heard much from either Yelle or Tepr in quite a while now. They have both been busy working on the new Yelle album, and Tepr has been working on stuff of his own with an EP on the horizon. Here's a taste of what he's been up to along with the classic "À Cause Des Garçons" remix. We've been writing about Paul, our fine Frenchman who makes splendid French touch with another touch, several times before and now it's time again. He sent over a new exclusive track yesterday and it was fantastic. It's to me a huge question why this guy doesn't get bigger than he is now. He's been putting out one great track after another and still he doesn't gets the attention that he deserves. But we stand by his side, because this is a guy you can rely on, so you should also support him by giving him some loving at his MySpace. 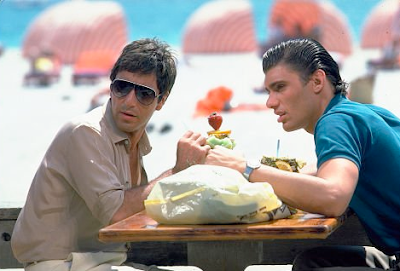 And I couldn't resist handing along this bonus track from the classic movie "Scarface" from 1983 with Al Pacino. They tracks have nothing in common whatsoever except that Paul's shares the same name and so does almost the track. 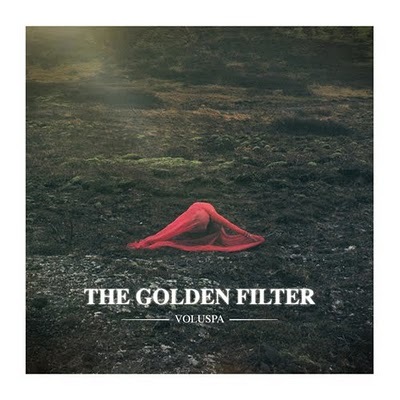 The debut album "Voluspa" from my favourite duo The Golden Filter are to be released on Monday via Brille Records. I wrote about the album a couple of weeks ago that it stands up for all expectations. The Golden Filter want to celebrate the release by giving you the opportunity to stream the whole album. 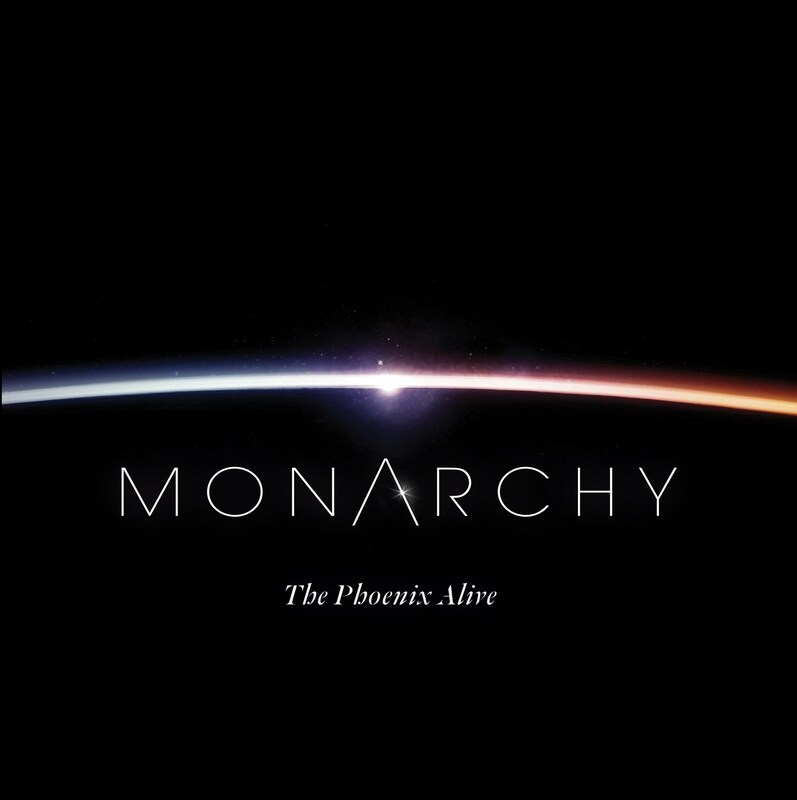 "The Phoenix Alive" is Monarchy's new single, and we first heard the Octans Edit in the new great Kitsuné Maison Compilation 9, that will be out officially April 26 but that you already can buy at digital stores. 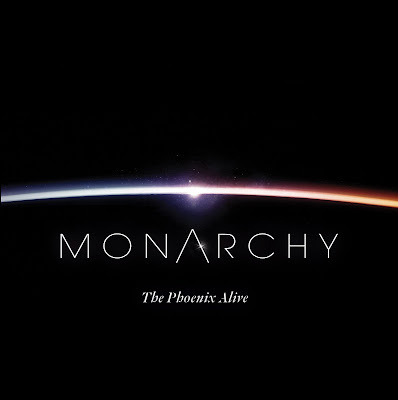 It sounded like another amazing track from Monarchy, with the same high standard as superb "Gold In The Fire". 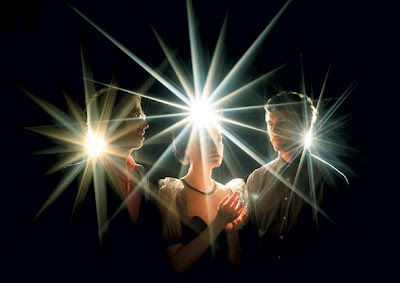 I'm not sure what the exact recipe is but the mix of brilliant pop, melodic electronica, great production and gentle vocals surely will put Monarchy in top of the charts of 2010. They have really got better recognition since we first wrote about them back in November and it's fully understandable. These guys are true talents, they make it look so easy to make fantastic music that nobody can resist, it's love from the first listen. "It Must Be Love" is the b-side of the single and it's also a pearl. Slower and more 80s synth ballad a la Alphaville or A-ha. It's not decided yet if it's going to make it on the debut album, that are said to be released in June. Can't hardly wait, I think it's one of the hottest releases this year. If it's as great as the tracks they released so far together with their remixes of Ellie Goulding, Marina & the Diamonds, Fyfe Dangerfield and Penguin Prison it's going to be the record of the year when we summarize 2010. "The Phoenix Alive"/"It Must Be Love" are about to be released May 10 via This Is London. Buy it when it hits the stores and give Monarchy all your love. Udine duo Fare Soldi are coming out with a new EP called "Houstria" on April 30. 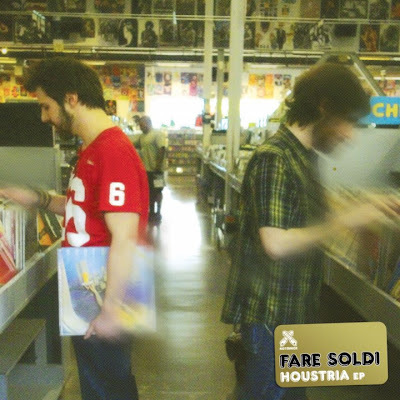 Fare Soldi means "make money" in Italian, which might suggest that the guys are shallow hustlers. However, the guys seem as hard to pinpoint as their music, evidenced by the philosophical question "to pump or not to pump" they ask themselves on the new EP. Also on "Houstria" is "Stambulia" which is supposed to be an Austrian coffee brand hailing from Istanbul. The music is Fare Soldi's trademark playful house music with influences from all over the place (not just Italy, Austria and Turkey). My favourite track of the last couple of days has been a remix of Vampire Weekend's "Horchata" by Californian Martin Vidal. It's just such an uplifting track that sounds what I imagine a collaboration between Fred Falke, The Phantom's Revenge and Lo-Fi-Fnk would sound. It's hard and soft at the same time and I can see this blow up a festival stage or a rave just as the sun rises. And the remix of Beach House's "Norway" isn't half bad either. Martin Vidal grew up in Orange County in the late 80s and early 90s, which meant listening to gangster rap and grunge while his uncles raised him on funk and disco. At the age of eleven he discovered house music listening to a little known radio station late at night. A year later he picked up his first instrument and he has picked up fourteen more since then. All this has influenced the electronic music he started producing four years ago. As an example he performs his music in live sets. The great Swedish duo Montauk's "Holiday" is about to get released soon with a bunch of remixes made of some fine people. Among the people who lines up proudly behind Montauk are Visitor, What Kind Of Breeze Do You Blow? and Tronik Youth some people to trust. And when our favourite friend Justin Faust also contributes with a remix, you can be certain of a great release from new label Brilliantine. The release is out digitally April 26 and you can pre-order it here with some more official remixes than listed here. Tracasseur have been walking around on a cloud the last couple of days, ever since we got this love declaration from Digitalfoxglove in a pink perfume-scented envelope. This means he loves us back! Well ok, this mixtape didn't come about exactly like that. It was recorded during another live-streamed mixing/chatting session, and DFG's original idea was to only use tracks from our blog. That idea had eventually to be abandoned when we got caught up in a vivid discussion on how to solve World hunger, the meaning of life (or whatever we were discussing), and Pete forgot to look for another Tracasseur track. So you can say I shot ourselves in the foot there. 16. Bit Funk - ????? Today I found this year's best acquaintance so far, in the Brazil duo Undog from São Paulo. They had sent over two new remixes (Guss and Electrotech Disco) to us, and I gave them a listen. Damn it was great! I had to get to their MySpace and see if they had something more with the same quality. And I found their own original stuff, and it was as smashing. Vibrant, different, heavy, melodic and so much more. I love how they work with the beats. It's pure joy and far more daring than much of the electronic music out there. Listen especially to the remix of Electrotech Disco and their own "Lot 49". 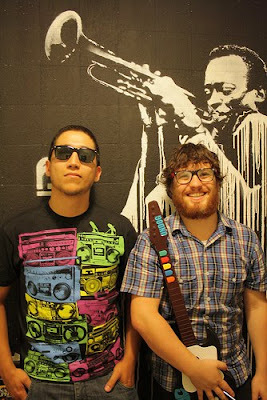 The duo of Undog consists of Bevi and Renan. They studied together at Florianópolis, but at that time they played separately. When they moved back to São Paulo they decided to start Undog together. When they play live they use Live and two Macs in sync and some controllers (as a Guitar Hero PS2 controller to make some noize). Bevi mixes and put the effects and Renan includes samples, drums and synths. Last November Undog released their debut EP "Modern Electronics". The "Cold Cold Vodka" track made a lot of people hear about them, and a lot of producers started asking them to do remixes. Right now they're remixing a lot of tracks, mostly for Brazilian people but also some other remixes that will be released in the next-coming weeks. We promise to keep you posted. Undog have also decided to re-release "Cold Cold Vodka" along with 8 or 9 remixes of it in May on Bang! Records. 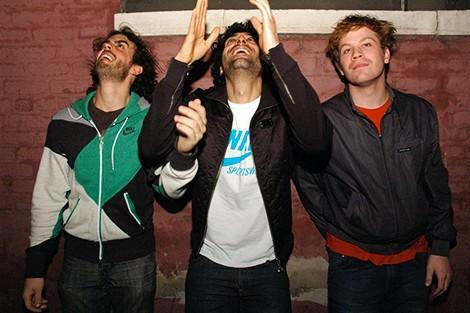 Their influences they mention on their MySpace are acts like Boys Noize, Justice, Digitalism, Kraftwerk and Daft Punk. You can hear that in their music but they also tell me that they're heavily influenced by some brilliant Brazilian producers that became like family to them the last two years. Names that to me are unknown (but that I promised to check out): Zero Discokillah (ex Blood Shake), M.EFE and all the Bang crew, The 666 Order, Sexistalk and 2Horsemen. Now it's time to give Undog a listen and then you go give them your respect. - PITCHFORK MUSIC FESTIVAL (USA): July 16–18. - FIB HEINEKEN (SPAIN): July 15–18. - EUROCKÉENNES (FRANCE): July 2–4. - ROSKILDE (DENMARK): July 1–4. - ESTRELLA LEVANTE SOS 4.8 (SPAIN): April 30–May 1. - T IN THE PARK (UK): July 9–11. - CMJ MUSIC MARATHON (USA): October 19–23. - ICELAND AIRWAVES (ICELAND): October 14–17. - POOLBAR FESTIVAL (AUSTRIA): July 2–August 22. 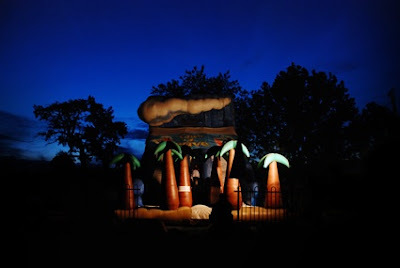 - PALEO FESTIVAL NYON (SWITZERLAND): July 20–25. - FLOW FESTIVAL (FINLAND): August 13–15. - DOUR FESTIVAL (BELGIUM): July 15–18. - CREAMFIELDS ANDALUCIA (SPAIN) August 14. - ELEVATE FESTIVAL (AUSTRIA): October 21–26. - CRUILLA BCN FESTIVAL (SPAIN): July 16–17. 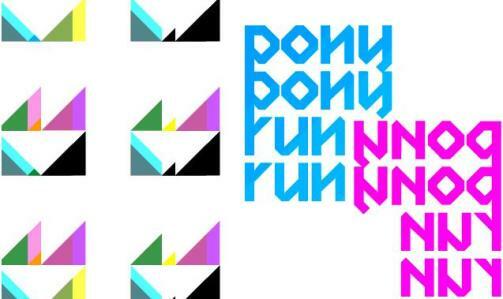 - DONAU FESTIVAL (AUSTRIA): April 28–May 4. Only two months ago we wrote about the great duo AXXE and in December we wrote about Cavaliers of Fun for the first time. Now it's time to put these two acts in the same post! 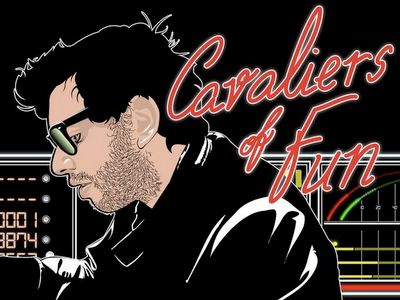 Cavaliers of Fun is still a one-man show from the UK named Ricco Vitali. He makes fantastic dreamwave music that everybody should fall in love with. I can't still understand why this guy haven't hit it off bigger when making such beautiful and talented music. 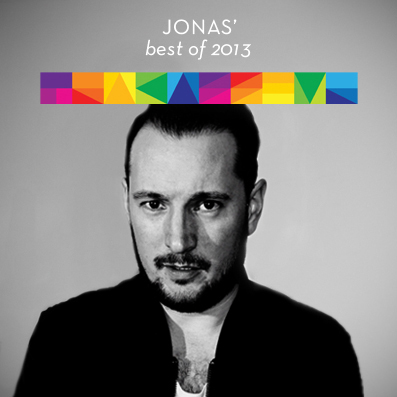 Last year he made one of the greatest indie electro tracks with "Secret Galaxies". I hope he hits it off in 2010, you can help him out by give him your support at his MySpace. 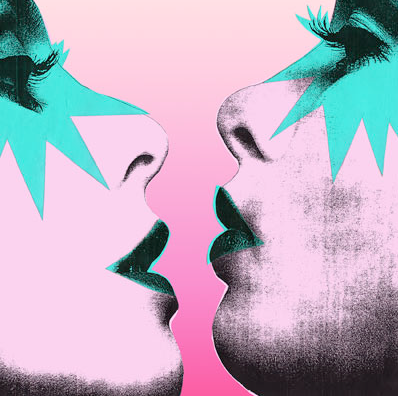 AXXE is the great electro-pop duo from Montreal with an Icelandic female singer who also haven't got the attention that they deserve. However they got the attention from great remixers such as Worship, Neon Workout and now Cavaliers of Fun. Maybe it's time for AXXE to hit it off during 2010 as well. One of my best findings last year was the duo So I'm Jo from Sydney, Australia. 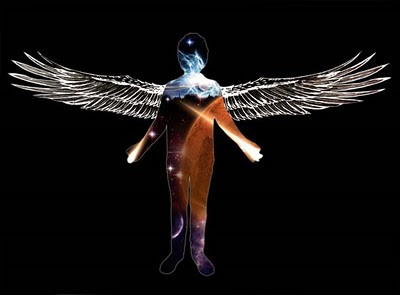 Fresh sound in the land in-between indie and electro with smooth vocals. It's easy to like and it gets you in that perfect mood. Damon and Glen are working with a new EP as we speak but wanted to share this new tune "Air" that they've been playing live since the back-end of last year. It's a typical So I'm Jo track, and it was ear-loving right away. Perfect smooth track that I guarantee you will play over and over again. Except "Air" I also hand away another track "White Bullets" that are a little different compared to their other tracks. Give these guys your love at their MySpace and also check out our old post, where you'll find some more fine music from So I'm Jo. Sally Shapiro's remix album of "My Guilty Pleasure"
Two days ago Sally Shapiro released the remix album of last years great album "My Guilty Pleasure". They have collected a bunch of remixes made of tracks from the album. 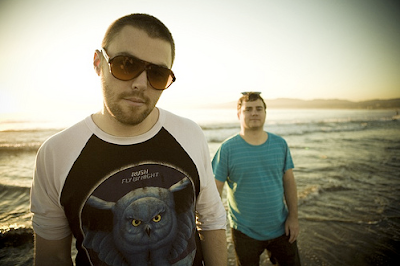 Among the remixers names such as Junior Boys, FM Attack, Bogdan Irkük, Low Motion Disco, Boat Club and Lovelock occur. We got this fine Bottin remix directly from Mr. Johan Agebjörn himself, the producer behind Sally Shapiro. Head over to Juno and buy the whole album with all the great remixes. Fujasaki rework of "Flying Nightmare"
We're always happy to introduce new talented acts for the masses and we're always happy when we can help great acts to more recognition. Since we wrote about our fellow countryman Fujasaki last year, he's been frequently blogged, especially in France. He's also been recommended as the best choice of music in a music magazine. We're happy for Fujasaki, because he's worth all the attention. As his thanks to us, he sent over a rework of the French pioneers Space. Space was formed by and created around Didier Marouani (aka Ecama) and he was a true pioneer within the electronic music. 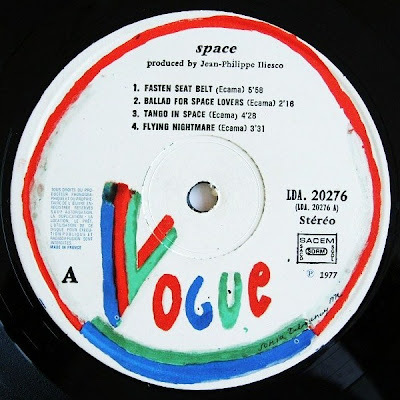 In 1977 Space released "Magic Fly" and it became a monster hit in the world. On the album with the same name another track called "Flying Nightmare" was included and it's of that track Fujasaki has made a rework. As Fujasaki says about the rework: "Almost the whole original production is included but I have reworked it a bit and maybe even given it some more swing." The phenomenal PEACE project by Buffetlibre and Amnesty International Catalunya, as we mentioned earlier in March, is now official. It's a massive and admirable project and includes 180 exclusive and unreleased songs from artists all over the world. It's as Buffetlibre says, the first music atlas in the net. The compilation is available for streaming at the PEACE website and can be downloaded after making a donation to Amnesty International Catalunya. The collected money will be used for Amnesty International’s investigation and action campaigns aimed at preventing cases of Human Rights abuses around the world. You can choose your donation from €5.00 up to €25.00 and I believe that's the easiest choice ever because you get so much great music in full quality and at the same time making the world better. PEACE got a fantastic line-up with artists such as Tesla Boy, The Toxic Avenger, Patrick Wolf, Don Diablo, Ane Brun, The Antlers, Jeans Team, Black Strobe and many many more. 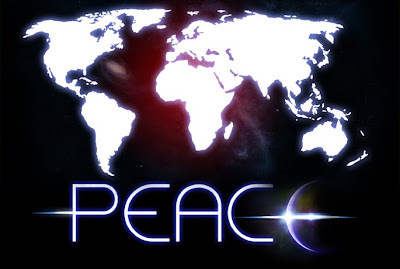 Complete list of artists involved is available at the PEACE website. We got ok from our fine friends of Buffetlibre to share two songs with you, but then you head right over and buy the compilation! 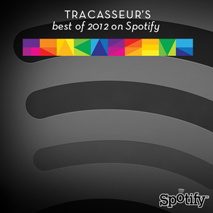 The songs are from the Russian success band of 2009; Tesla Boy and the more experienced Black Strobe from France. We're proud to announce our new club concept Virgin Ears – The Intimate Disco Club together with Dogs from Redding and Blek (Samlingen). As mentioned Tracasseur are launching this new club together with our fine friends Dogs from Redding and Blek. They are responsible for the great disco club Glasnost in Uppsala, where we been flipping records several times with foreign celebrities such as Serge Santiago, diskJokke, Disco Bloodbath and Ben Rymer. Next time In Flagranti will be the main act. 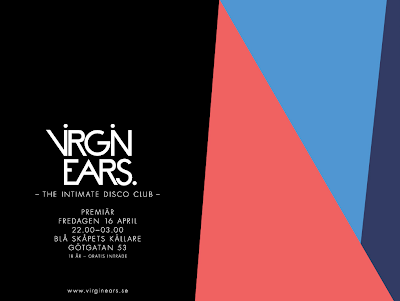 A lot of fine Swedes have also been visiting Glasnost for amazing live- and dj-sets, except ourselves great acts such as Jackpot, DW, Neon Workout and Hampus Drake. Justin Faust got Panic Attack! Our good friend Justin Faust has recently come up with a fresh and awesome remix of British beauty Florrie. Not long ago Justin released the great EP "Holdin' On" and he follows up with this fine remix. Florrie is a young girl living in Kent (not to be mistaken that she lives with the Swedish rock/synth band with the same name). In Kent she is hanging out at Xenomania, a production house where she makes her music. And this is a talented girl for sure, not only that she is a guitarist, singer and songwriter, she is also a fantastic drummer (see the video further down). Speaking of Falke, he also made a remix of "Panic Attack" a while ago. Bit Funk and favourite Def Starr have also made remixes of it. And finally, Florrie the fantastic drummer! Anyway, we're going to listen to The Twelves' summery disco remix of Two Door Cinema Club and try to believe that the summer eventually will come. 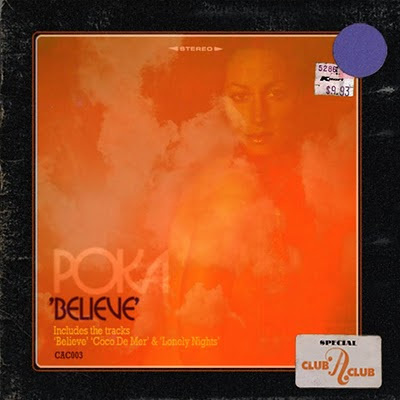 Greek producer poka has been one of our favourite French/filter/disco house producers for a while now. Today he releases his "Believe" EP on Gothenburg/Oakland label Club-a-club. Filled with funky disco samples and happy vibes, here's the full EP in 128 kbps. But you'll want to get the full quality version through any of the major mp3 stores. 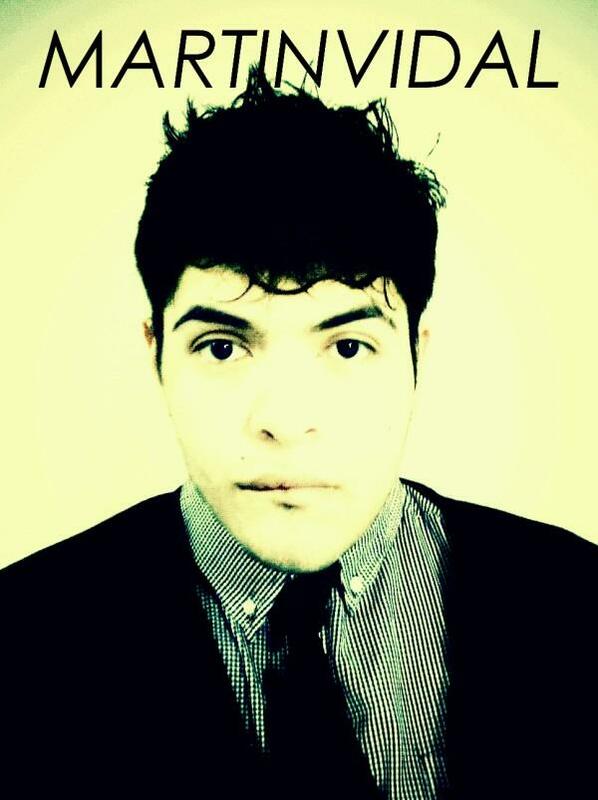 Check out poka's Soundcloud profile for more stuff to strutt to. Epic stuff coming via our friends over at French Express today; Lifelike's remix of Pony Pony Run Run's new single "Walking on a Line". It's great, but I'll keep this pretty short because you'll want to head over there to grab the extended remix. First though, check out the video of the original and Lifelike's radio mix. And if this makes you inspired, enter the "Walking on a Line" remix contest over at MXP4; the winner will secure a spot on the B side of the digital release, plus other goodies. But hurry, the deadline is April 26! So: get original on Wagram, get extended Lifelike remix on French Express! Cool Glass Candy are back with a new EP "Feeling Without Touching" released by Italians Do It Better, which have been their label since 2007. With wonderful names like Ida No on vocals and Johnny Jewel taking care of the production, nothing can really go wrong. The EP title track sounds like Glass Candy as an example. And since they finally have made their first video ever, we're glad to show it for you. Since I ran across Glass Candy back in 2007 with the album "Beat Box" I was impressed by their beautiful but also peculiar sound. The slow and heavy track "Digital Versicolor" got me hooked with big help from the synth 3.15 into the track. Wonderful! 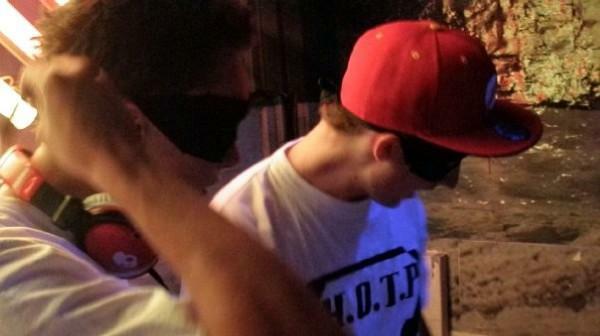 The young Australian duo Heroes of the Party have come up with a new remix. This time it's a remix of Brooklyn babe Chelley and her bootylicious track "Took the Night" that has amazingly 5.000.000 plays at her MySpace. Another superb remix of "Took the Night" was made by Grum last year. Grum from Leeds always makes mighty fine remixes and this one is no exception. The third release from Space Walker Recordings is another great one. 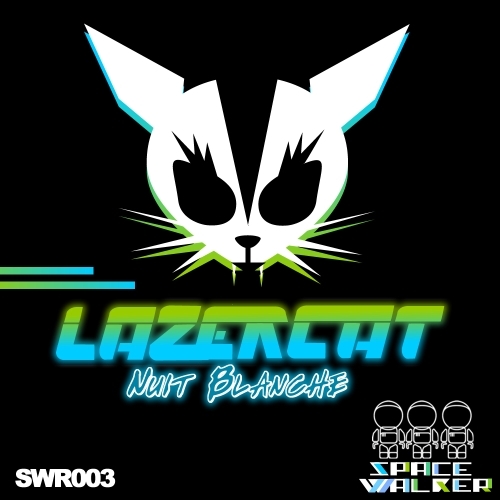 This time it's Lazercat hailing from Canada. She is an upcoming producer on the electronic dance music scene. This is her fine debut "Nuit Blanche". She is actually a former violinist and I believe you can hear that in the melodic synth. She felt that she wanted to experience a wider music spectra that only her classical music and decided to give electronic music a shot. For that, we are very happy! The remix is taken care of our Swiss friends Flashworx, and you can always rely on Mike and Anthony doing a great work putting that extra italo flavour into the track. The release date is today and you can buy it exclusively at Beatport. British post-punk-acid-rock-electro-synth band Detachments, who has struck like lightning with their special sound, are out with a new video to the release of their upcoming single "H.A.L." on Thisisnotanexit Records. It's available for download tomorrow (April 12). The 12" comes in two different screen printed sleeves (200 in yellow/200 in blue) and features the 2010 James Ford updated version of "H.A.L." as well as a new track "Sands of Time" (featuring Heather from Salem on lead vocals) and dance floor remixes of the tracks from Ikonika and acid house legend Andrew Weatherall. 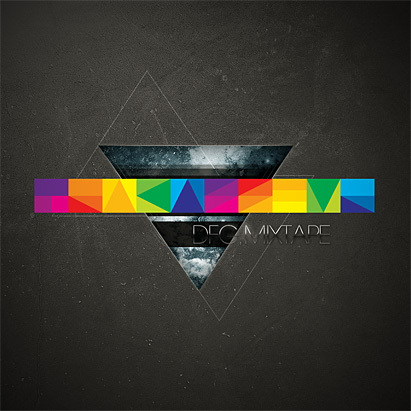 Detachments have made a couple of great songs before and several of them got awesome remixes. 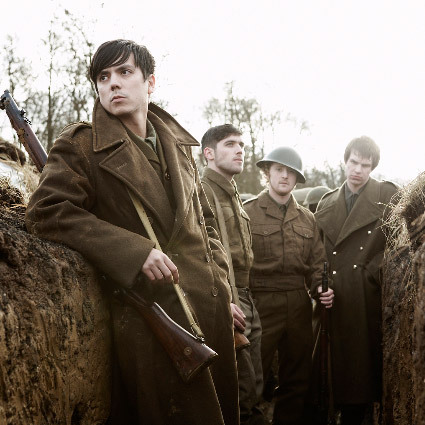 With the Detachments sound of The Clash meets Joy Divison I really enjoy Mirror People's big flirt with Kraftwerk's classic "The Model" in "The Flowers That Fell". If you are around in London this coming week Detachments will be playing at The Camden Barfly on Wednesday April 14. The great people of Brilliantine are having a party on Monday. What Kind Of Breeze Do You Blow? will be making their DJ débuts. If you're in the Toronto area, click "attending" on the Facebook event and dance your socks off Monday night. Labels: Flight Facilities, What Kind Of Breeze Do You Blow? Parisian indie-crossover duo Housse De Racket are dropping their new single "Oh Yeah!" in the UK at the end of May along with a whole bunch of new remixes . We will be looking forward to remixes by Keenhouse, The Lowbrows, Walter Sobcek, DJ Tonka, Hemingway and Hidden Cat in the near future. Can't wait? Why, grab these remixes by Barretso, Nighty Max and We Love Machines then. And if you're in London on May 1, you should go see them play at London’s Camden Crawl. No-one knows who Universe is. It's all a big mystery. All we know is that we got a Miami Horror remix from this mystery Sydney producer a little while ago and two more remixes today. The first one is from fellow Australian Dcup, who we've been keeping tabs on for some time and who's building a lot of hype both with his own tracks and his originals. The second one is of a certain French singer-song writer called Sébastien Tellier, who was the best contestant of the Eurovision Song Contest since Herreys a couple of years ago. Check out these exquisitely produced lo-fi nu disco remixes, and keep your eyes out for some excellent originals coming out soon. In the meantime, nose around the MySpace page and see what you can find out. 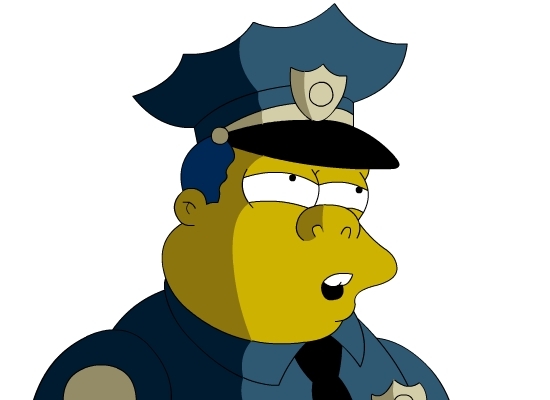 Get back to us if you find out anything. Devoid is a Raffael Dutra Rocha from Campinas, São Paulo. An ordinary guy who decided to start making music only two years ago after watching Interstella 5555, the musical anime film that visualized Daft Punk's "Discovery" album. 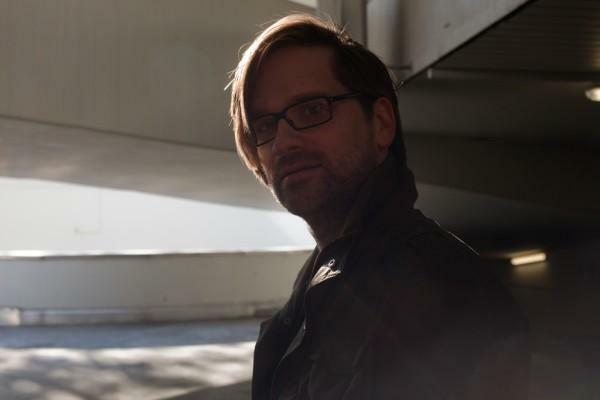 He lists Kavinsky and Danger as his main influences apart from Daft Punk, and all three acts have a clear presence in his music. We like it, and after all, with influences like those you can't go wrong, right? Hey Champ are the third greatest thing to come out of Rockford, Illinois. They are actually also three guys in the band. However, "Neverest" isn't the third single, but only the second one coming from their full-length debut album "Stars" set to be released July 13 on Townie Records. My colleague Arnie speaks about Hey Champ as Rockford's Cut Copy and put them on his Best of 2009 list with their remix of French Horn Rebellion vs Database. And it was during 2009 it really hit off for Hey Champ due to their super track "Cold Dust Girl". Now they are looking for a busy 2010 where they are booked on several big festivals worldwide. 2010 will be the year of Hey Champ! Listen to "Neverest" and "Cold Dust Girl" and pick them up for free from their website! If you wonder what the other two great things to come out of Rockford are? I can tell you it's the rock legends Cheap Trick, and (allegedly) the older brother from the TV hit "Blossom." Ok, it's not released yet, the official release of "Voluspa" on Brille Records is set to April 26, but the album has unfortunately leaked. It's a shame that almost all albums nowadays leaks before the release date, but maybe that's the hard life of internet in the 21st century. That's Golden Filter generosity! That's why I love them and have longed for their debut album for a whole year, and now it's finally here. So support them and love them by pre-order the great album. As an album I can say that "Voluspa" sounds like The Golden Filter we're used to hear, and that's of course a good thing. As I have written in several posts before, you can hear when it's The Golden Filter. The beautiful whispering voice from Penelope along with their nice disco beats, it's close to perfection. You will not be disappointed with "Voluspa", it stands up for all the expectations. Here is the tracklist for "Voluspa" along with one new great track from the album. We want you to pre-order the album instead of downloading it. 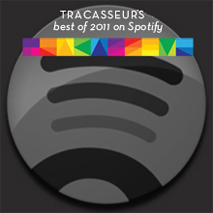 We also give you a couple of remixes of tracks from the album that haven't been posted on Tracasseur before as a teaser. 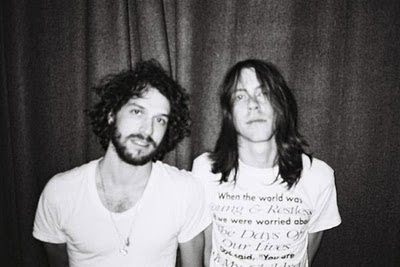 The trio Music Go Music based in L.A. got some attention last year in the blogosphere but not as much as they deserved. Doing that kind of music that makes you happy and sad at the same time. Inspired, and also sounding, as the 70s disco music by ABBA, Blondie, ELO and equals. It's kind of cheesy and there are hand claps, that kind of 70s disco that probably your parents danced to when they were young (if you are born in the late 70s as I am). They released their debut album last year named "Expressions". It got quite good reviews and put Music Go Music in another light. They also got the attention from some great remixers such as Fred Falke and diskJokke. They are signed to the fine label Secretly Canadian with great acts such as Yeasayer, JJ, Here We Go Magic, and Frida Hyvönen. But another funny thing also draw the attention to them, and that was the making of their music videos that seems to be live performances in the TV show "Face Time", dressed in 70s clothes and with not that fancy sceneries. But they are all fake, and they have a done couple, check out their YouTube channel for more travelling in time. 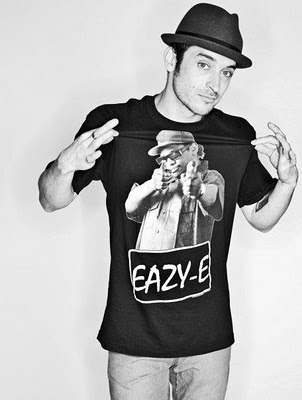 Clancy is a producer, DJ, musician and promoter who has been involved in the electronic music scene for most of the noughties. A product of the 90s Madchester indie scene he moved to London in order to further his love of electronic music. He regularly DJs at East End raves and basement parties in Shoreditch and Dalston, as well as festivals like Field Day, RockNess, Bestival, Land of Kings and Great Escape. With musical heroes like Stuart Price, Lifelike and Alan Braxe, he's also remixed Little Boots, Housse De Racket, Annie and Delphic. My favourite is the "Halcyon" remix. The American duo NightWaves, consisting of Kyle Peterson and Josh Legg, make melodic, nostalgic dreamwave. They are a part of the LA-based producer collective/music blog Binary which you need to keep tabs on if you're not doing it already. Growing to a four piece band for live gigs, they have just finished a run of shows at SXSW and the Winter Music Conference. Their new single "Sweet Carrie" is being released on Tuesday. Check out the video and the remix by our Australian buddy Beaumont. I almost never listen to full albums. A part of it is because I basically have stopped buying records and to the extent I buy music it's almost always just single tracks. Another part of it is because I listen to a lot of club music that isn't built around album releases anyway. An album I have listened to a lot since we got it a couple of weeks ago though is the forthcoming Kitsuné Maison 9 compilation. 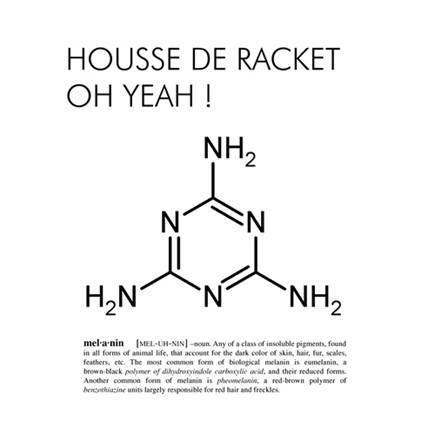 The French label's catalogue is epic and they're still among the coolest there is. The ninth instalment of the Maison compilations have been heavily influenced by the addition to the Kitsuné family of little Yumé ("dream" in Japanese). Indeed, making this compilation with the toddler being breastfed in the next room has, by their own admission, made this album into the most snugly, peaceful and motherly Kitsuné release yet. And I love it. Unfortunately we're unable to share any of the actual tracks, but here are some promo goodies. First up you can hear a few snippets in this video, while the Kitsuné "Ivy League" Autumn/Winter 10 collection is being showcased. Fenech-Soler's "Stop and Stare" is a 90s rave-infused indie dance/post punk hit. They've also made this great track a few months ago. "I Think I Like U 2" is, as you can hear a lot more indie pop than what all those ties to the French electro scene might have you believe, and so is "Short and Entertaining" on the album. Even Crookers have mellowed down. It might be Yelle who has had a cooling effect on them. You might have heard the original already, but here's a bootleg remix just in case. 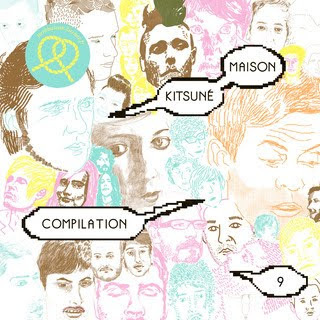 Kitsuné Maison Compilation 9 is out April 26.